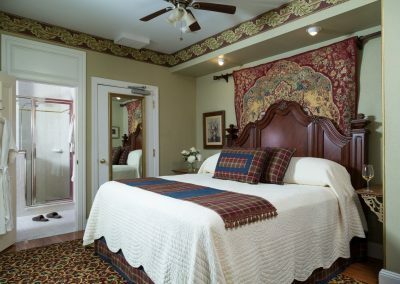 The Queen Victoria is proud to announce our newest room. 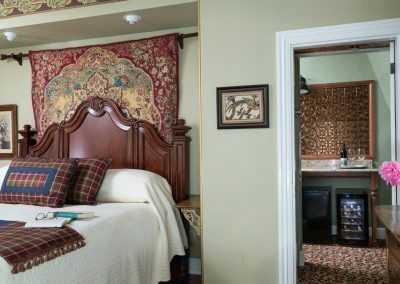 When you step into the Crown Prince luxury suite, you’ll instantly recognize you are about to have a wonderfully indulgent, comfortable, and luxurious experience. 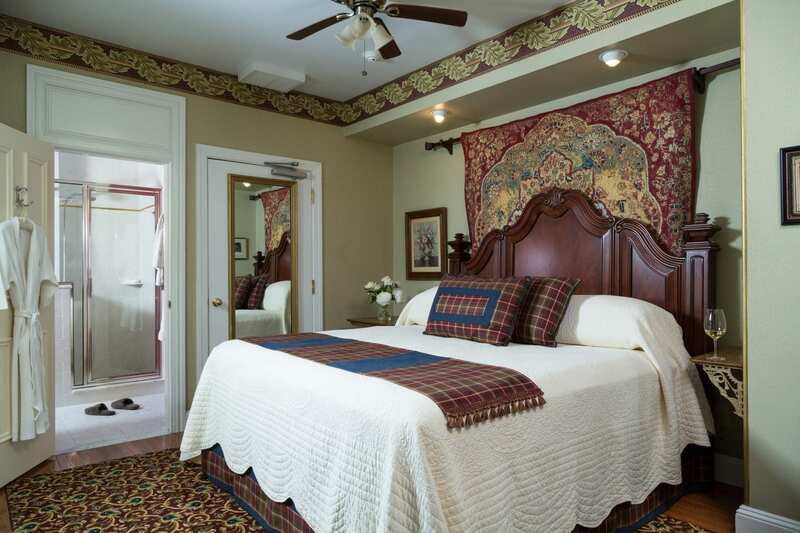 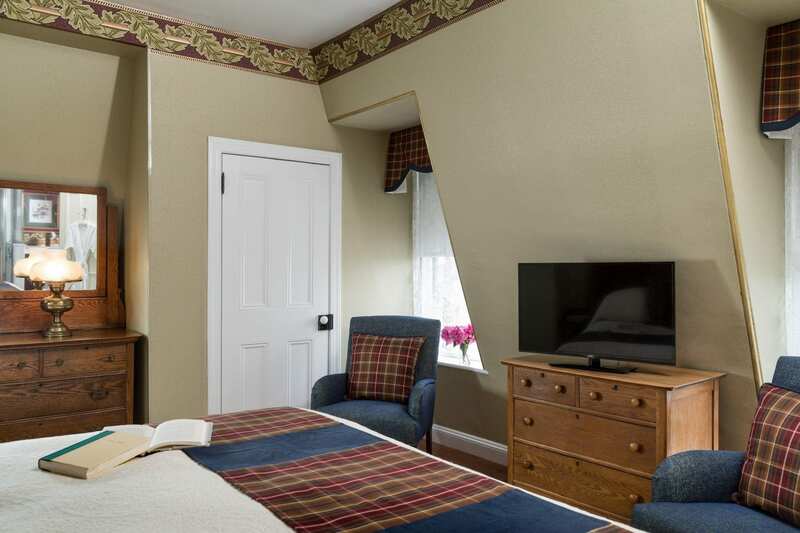 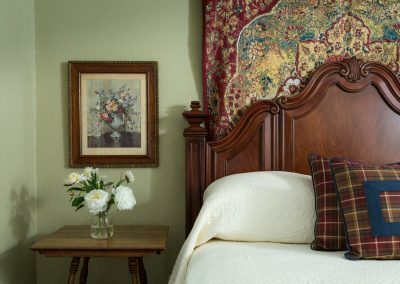 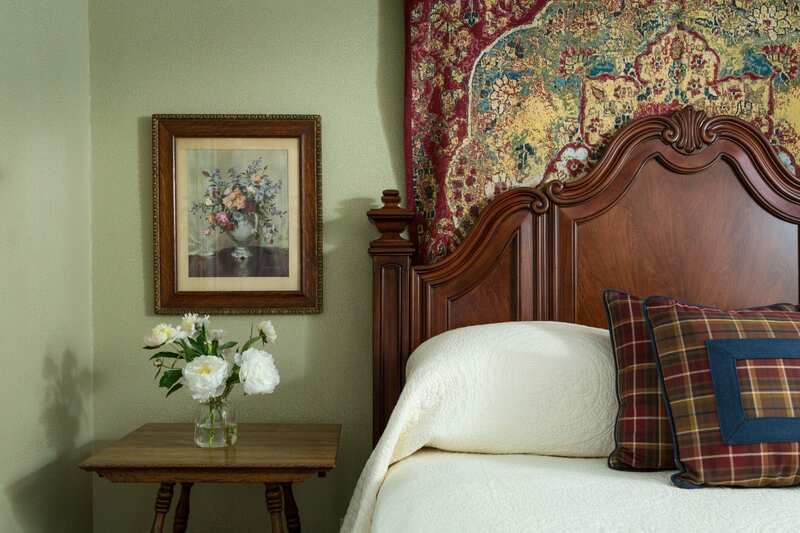 You are sure to be enchanted by this very large and private 2 room suite, featuring 2 bathrooms (his & hers). 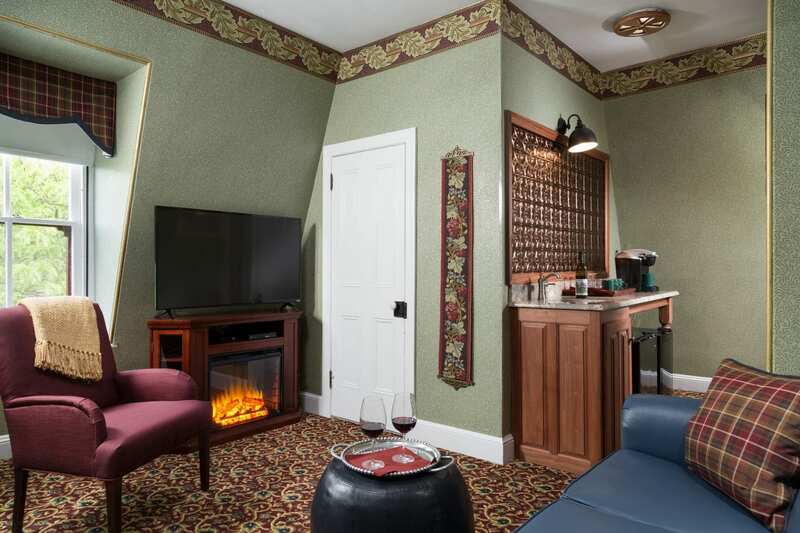 In the sitting room, the luxurious sofa, bracketed by overhead hammered tin reading lamps, is the perfect place to comfortably enjoy the charming fireplace (electric) and 48” flat panel television. 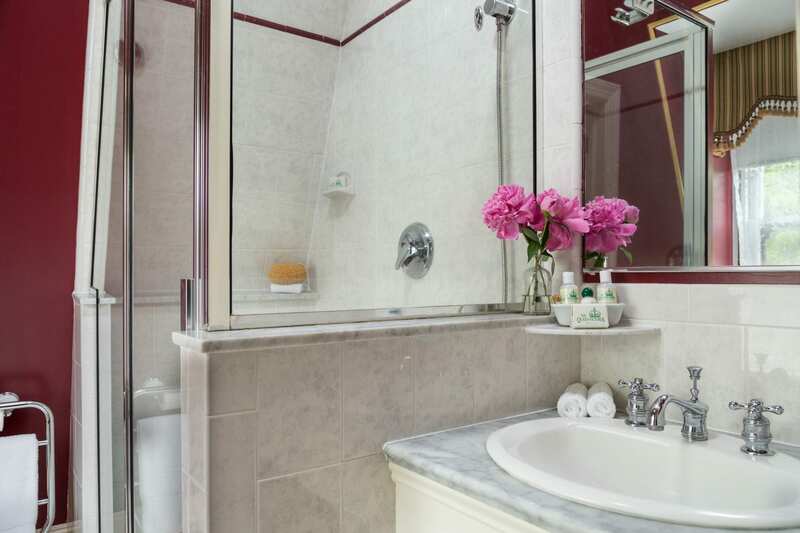 The second bath, located just off the sitting room, is richly appointed with a marble floor, large step-in glass shower, heated towel bar and a rich décor. 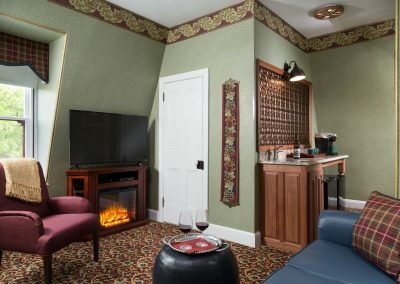 The sitting room also features an elegant, custom crafted wine/wet bar with a large granite counter top, which is just steps from the sofa, and features both a stocked mini refrigerator and a wine cooler (not stocked), as well as a Keurig gourmet coffee system. 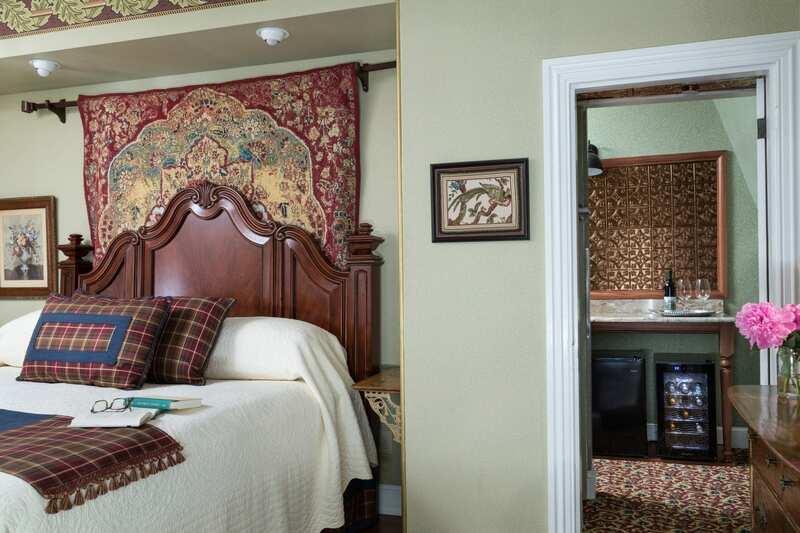 Stepping past the wine bar, you’ll find yourself in the wonderfully bright bedroom, which features an impressively luxurious and comfortable king size bed and a window with an ocean view. 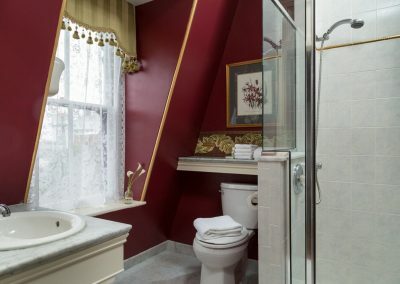 The master bath off the bedroom is as richly decorated as the 2nd bath, with all the same features, but has the additional advantage of a window with an ocean view. 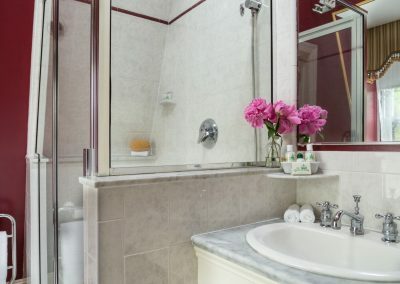 Imagine yourself peering down the street, enjoying the sunrise over the beach view as you brush your teeth (assuming you can pull yourself out of the comfortable bed in time for sunrise!). 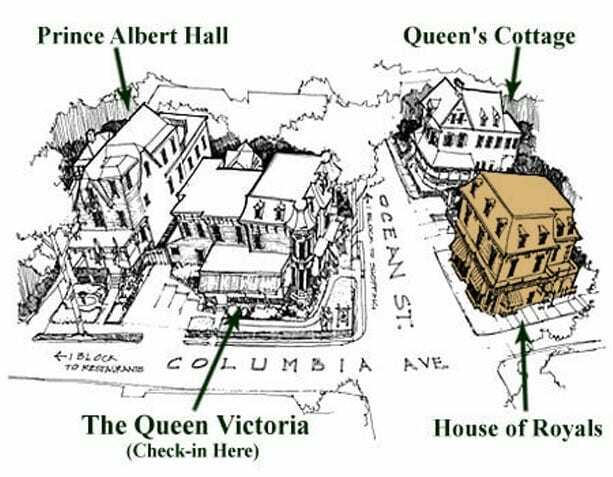 The Crown Prince is located on the 3rd floor of the House of Royals building. The sofa in the sitting room is a very high quality sleeper sofa (the same as you’ll find at Disney World), with the highest quality memory foam enhanced mattress available on the planet, making the Crown Prince ideal for a family of 3 or 4 (children 12+ years), or friends travelling together.